A delicious addition to a big breakfast or any meal - make your own vegan and vegetarian friendly burgers quickly with this easy to use and tasty mix. Contains soya, gluten from wheat. 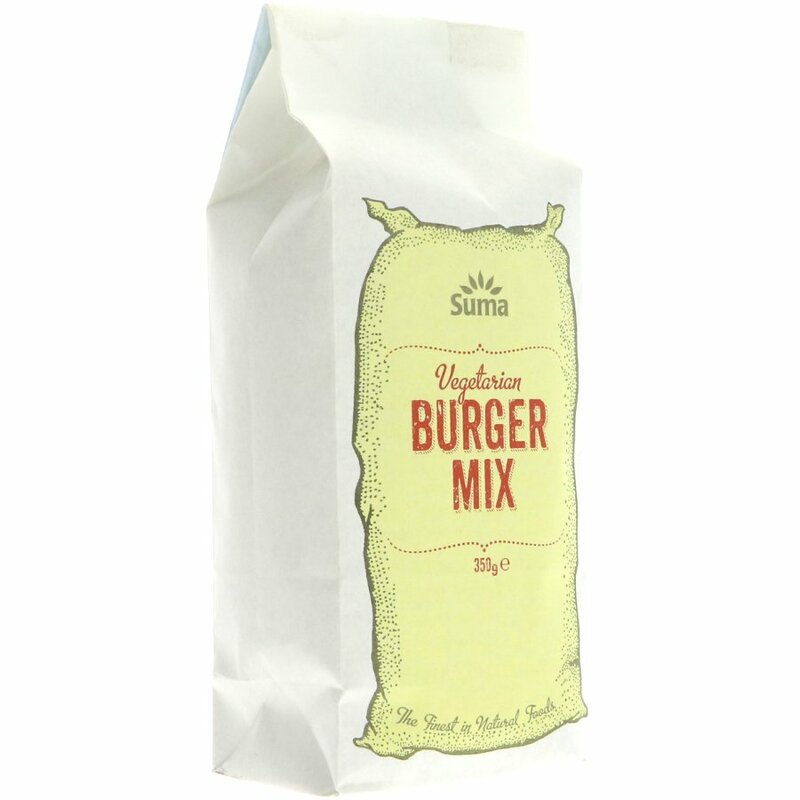 The Suma Prepacks Vegetarian Burger Mix - 350g product ethics are indicated below. To learn more about these product ethics and to see related products, follow the links below. Used this to make veggie burgers for meat free Monday and it worked great. I added diced Peppers, Grated Cheese, Coriander, Cumin, Cassia, Black Pepper, Cardamom and clove to the mix to put a twist on things and enhance flavour. Water worked as a good binding agent and frying these was easy. Q: Sorry if this sounds stupid, but how do you use this product? Do you just add water or do you have to include a binder like an egg or something?